Tongan rugby superstar – Israel Folau, Wallabies fullback, has once again created a commotion with his latest controversial homophobic comments on social media. In response to an article on Tasmania’s decision to introduce gender-optional birth certificates, Folau took to Twitter on Wednesday afternoon to caution that “the devil has blindsided so many people in this world, REPENT and turn away from your evil ways. This legislation makes gender on birth certificates optional, and removes the requirement for transgender people to have surgery in order to have their gender recognised. On Wednesday Folau posted a banner on Instagram warning “drunks, homosexuals, adulterers, liars, fornicators, thieves, atheists, idolators” that “Hell awaits you! Repent! 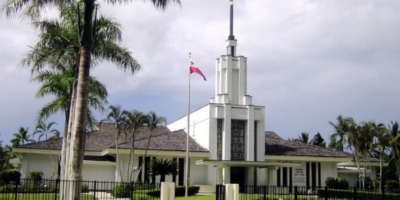 Only Jesus saves.” Folau’s comment has been recieved with much criticism with even NZ Prime Minister – Jacinda ardern voicing her disagreement with Folau. She has said that at a personal level she’s very mindful of the fact that he is for many a role model and since he is person in a position of influence that comes responsibility. 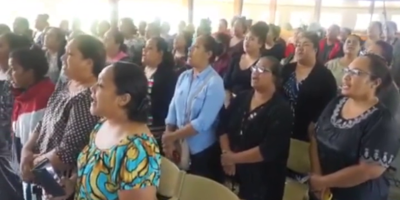 Speaking to Radio Tonga News – ‘Inoke Mafile’o from Kolofo’ou and ‘Etuate Sakopo of Ma’ufanga said, they support Folaus comments as they have the same beliefs, drawn from the Bible. However Polikalepo Kefu from the Tonga Leitis Association says Folaus comments are hurtful for the Fakaleiti Community and it only encourages more hate from others towards the fakaleitis.